We did it! We hit the #1 Spot on Amazon. 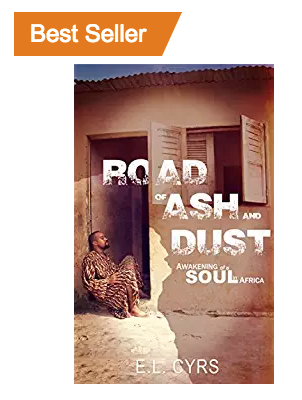 Road of Ash and Dust: Awakening of a Soul in Africa is “officially” an Amazon Bestseller. I wish I could say that I expected it but honestly I’m a little in shock. As of now the book is continuing to climb the charts as far as sales. We are approaching 300 sales for the day already. I wish I had some words appropriate for the moment but I’ve quite literally got nothing. I’ve got a ton of family and friends to call right now and scream at into the phone. I’m cranking the music up and pouring myself a nice cool glass of spring water. Congratulations! Super exciting and well-deserved!